By Jake Rocheleau in Web Design. Updated on May 1, 2017 . 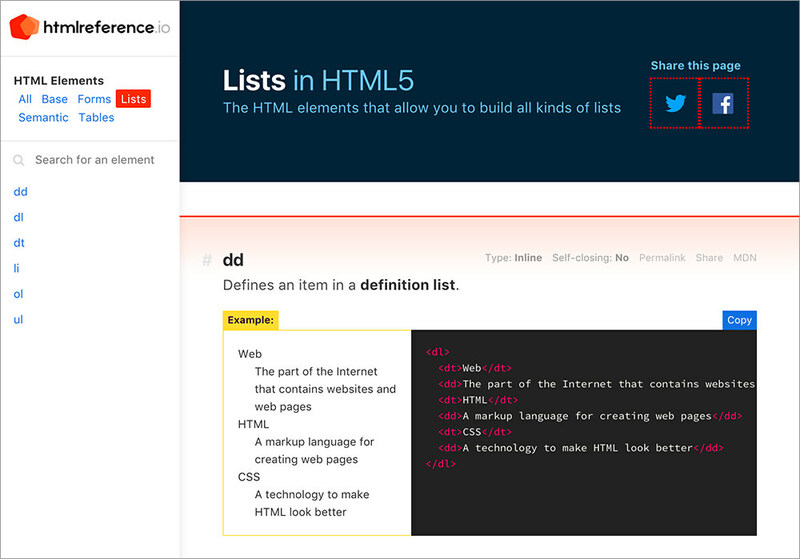 There’s so much to learn HTML and the HTML Reference site is made to help. Every HTML element has its base tag and attributes that go along with it. 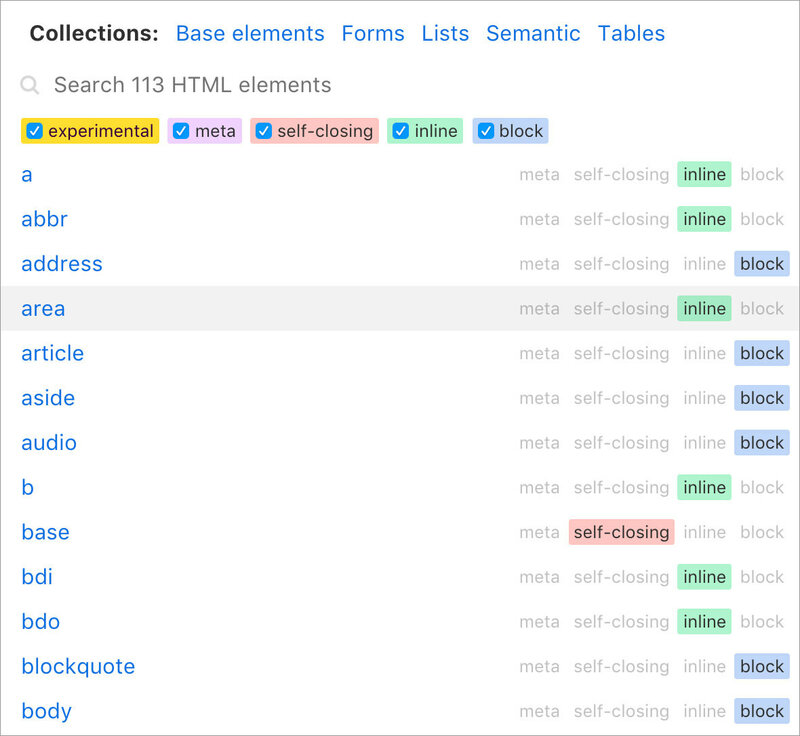 HTML Reference covers all these elements & attributes, along with more specific properties such as which tags are self-closing and which tags are block-level vs. inline by default. You can always learn the basics of HTML from online tutorials and free YouTube videos. But it’s hard to find a truly detailed guide covering everything you’d ever want to know about HTML. Thankfully, that’s exactly what this site is and it’s offered online at no cost with an easy-to-use interface. It works as one big home page where you scroll through elements from A-Z. Each element has four optional properties, and as you scroll through you’ll notice some elements have certain properties applied while others don’t. By default, web browsers render certain elements differently than others. This is an inherent structure of HTML and it’s organized by the W3C. You can always browse through W3C’s website to find this information but the HTML Reference site makes it so much easier. All meta tags are typically used inside the header rather than the page body. Self-closing tags do not require a second tag to close, and most developers just need to memorize which tags are self-closing & which aren’t. HTML Reference also offers deeper pages covering topics such as HTML lists and forms, all with live examples using proper HTML5 syntax. This guide is truly the ultimate reference for anyone learning or trying to improve their HTML skills. And, best of all, the project is totally open source, so you can download it locally if you want a copy on your machine.